This is the second in a series of Snapshots breaking down the $867 billion Farm Bill that was signed into law on December 20, 2018, and is effective through fiscal year 2023. 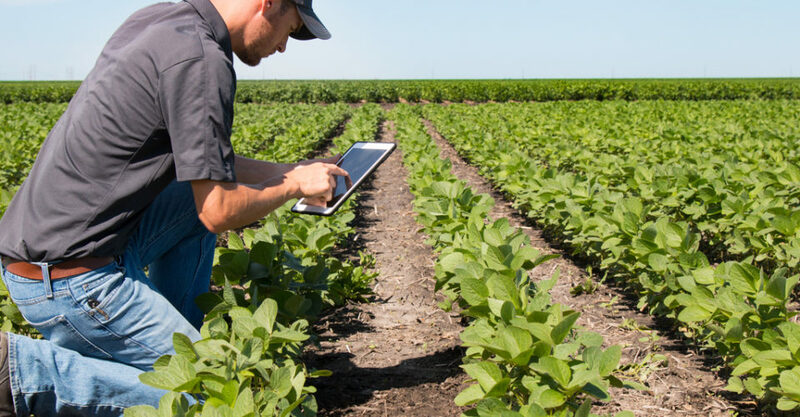 Each Snapshot will focus on a particular section or topic within the bill and explain its implications for U.S. agriculture over the course of the next five years. Environmental Quality Incentives Program (EQIP) is intended to strengthen the country’s conservation efforts by providing sliding-scale financial and technological assistance to farmers who wish to implement new conservation systems on existing farm or ranch land. Priorities of the program include soil, air, and water quality, organic farming practices, nutrient and pest management, and wildlife habitat conservation. Conservation Stewardship Program (CSP) supports existing conservation efforts on profitable farms while working with them to improve conservation management. The program’s priorities are soil, water, and air quality, energy conservation, biodiversity, and carbon/greenhouse gas reduction, as well as regionally-based conservation issues. To date, it has been the most enrolled-in conservation program in the U.S. (currently 70 million acres). Conservation Reserve Program (CRP) prioritizes erosion-prone land. In exchange for discontinuing agricultural production on a piece of land, CRP funds long-term ground cover (i.e. grasses and trees) to strengthen the stability and health of a designated land parcel and its wildlife. Agricultural Conservation Easement Program (ACEP) protects wetlands, grasslands, and productive farmland from non-agricultural development by providing funds to private landowners and other entities to support the maintenance and restoration of these places. Other programs include the Regional Conservation Partnership Program (RCPP), which establishes partnerships between various conservation agencies to focus on specific conservation practices and maximize financial resources. Unlike other policies, the RCPP utilizes a top-down approach; in this model, projects begin with the funding entities and participating farms must apply to join an existing partnership based on a pre-established goal. Program/Policy Initiated: The policies discussed here were enacted in previous versions of the Farm Bill, and any reforms or repeals made in the 2018 bill are now effective for the 2019 coverage cycle. Effective dates vary from one policy to another and changes may be enacted in waves. 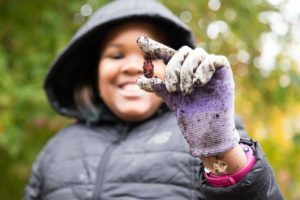 Program goals: Conservation programs aim to prioritize and promote and protection and maintenance efforts through a variety of programs, with particular focus on the country’s most vulnerable ecosystems. How it works: The 2018 Farm Bill sustained, amended, and repealed various policies, programs, and agency guidelines for this farm bill cycle. While many conservation program budgets are set to increase by $656 million over the next five years, this is a temporary change intended to pave the way to ultimately reduce overall conservation funding by almost $800 million over the next decade by phasing out the CSP. This section will highlight some significant changes to the state of conservation programs and funding in the U.S. The bill also repeals the Conservation Stewardship Program (CSP), reallocating $12.6 billion to other programs. Existing CSP contracts will remain active until their expiration dates, all of which are prior to 2023, when overall conservation funding is set per the bill. The 2018 bill will amend the Agricultural Conservation Easement Program (ACEP) to make agricultural land easements more accessible to interested entities (e.g. private landowners, land trusts, etc.) by providing procedural flexibility and removing adjusted gross income requirements. Amendments will also raise the annual budget to $500 million. Finally, the 2018 Farm Bill seeks to popularize the Regional Conservation Partnership Program (RCPP) by increasing overall funding, allowing for longer partnership contracts, and expanding project renewal options. Why it is important: National conservation programs are key to maintaining and expanding sustainable agricultural practices by taking a proactive stance toward preservation and restoration, encouraging big-agriculture and small farms alike to adopt such practices. However, as the 2018 bill plans redistribute and cut funding, there is question as to how the next decade will pan out in terms of conservation. Without such programs, the capacity of farmers to participate in these efforts might be greatly limited, given the costly and sometimes time-consuming nature of many sustainable practices and infrastructure. Progress to date: Given how recently the current bill was passed, it is too soon to know how the latest policy changes will affect farmers. That said, any CSP contracts that have terminated since the start of the 2019-2023 farm bill cycle are now discontinued and ineligible for renewal with the program’s repeal, leaving some farmers unsure as to where funding for their conservation practices will come from. Evaluation: While the 2018 Farm Bill’s focus on expanding many conservation programs is certainly something to look forward to, the method by which it’s being done is cause for concern. Amendments to these programs are a mixed bag and somewhat deceiving in nature. While in the short-term many of the changes are positive in that they seek to expand enrollment, they consequently decrease individual payouts to farms, which serves to disincentivize participation in the long-term and decrease conservation spending over the next decade. It will be interesting to see how the changes included in the 2018 Farm Bill play out in the field of ecological conservation as we attempt to mitigate the effects of global warming. Similar practices: To understand the context and significance of the 2018 Farm Bill, it is useful to compare it to previous versions of the bill in order to determine exactly how it has changed over the years. To learn more about how the 2018 bill compares to the 2014 version, check out the first resource in the “Learn more” section below. Other examples of similar policies include the European Union’s equivalent of the Farm Bill, the Common Agricultural Policy. Exact specifications within the bill vary from one EU country to another, but they generally cover the areas of income support, rural development measures, and market measures as they relate to the farming industry.